Richell Convertible Elite Pet Gate 6-Panel Autumn Matte 130" - 134" x 31.7" - 33.7" x 31.5"
The luxury of three pet products in one! It’s specifically designed to confine your pet safely in areas with larger openings, yet fit beautifully in any home décor! The gate includes a lockable door that allows you to move freely from room to room without having to shuffle the entire unit. Each panel locks in place at 90⁰ and 180⁰ angles using a specially designed cap, which also provides extra stability. In addition, optional panels allow you to configure the gate, divider and pen any way you want and as large as you want! The gate's beautiful hardwood construction complements Richell's other fine wood pet products. The Option Panel and Wire Top are sold separately. 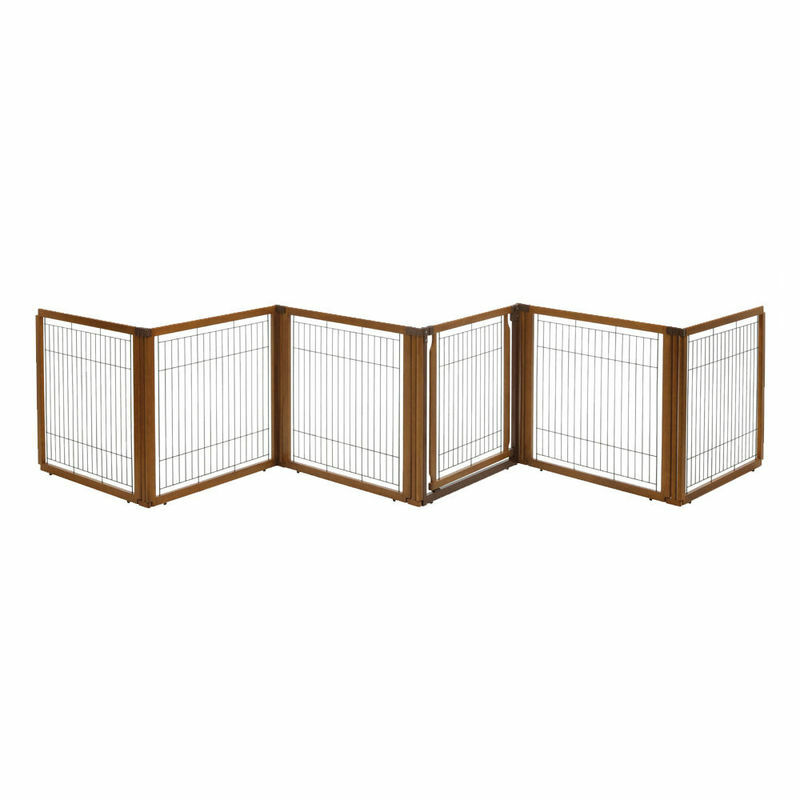 The gate is available as a 4-Panel see Richell's Convertible Elite Pet Gate 4-Panel. Lockable gate door allows easy movement from room to room. Optional panels allow for various size configurations. Beautiful hardwood construction. Easy to assemble. 36.25" x 35" x 9"
36.3" x 35" x 9"